Aptly named Den. Supernestor, this hybrid will be taller than Den. 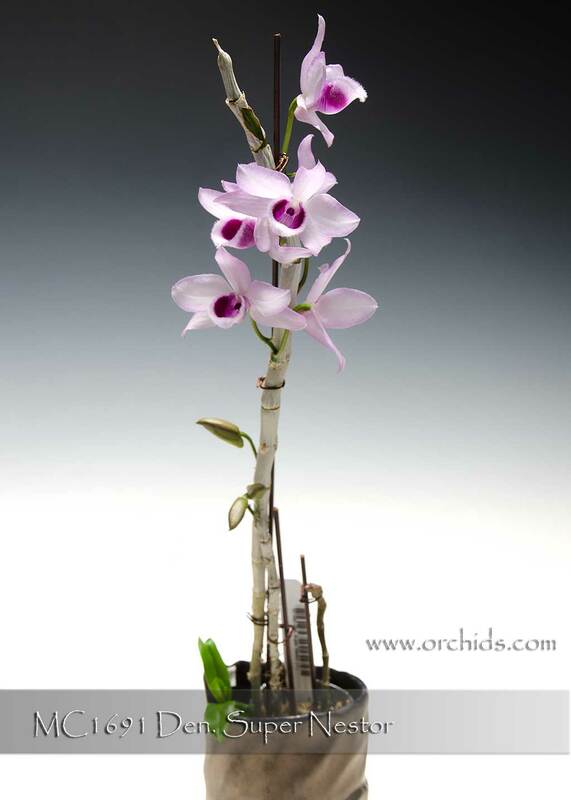 Nestor but produces more buds closely arranged on the canes for the ultimate show ! Although Den. 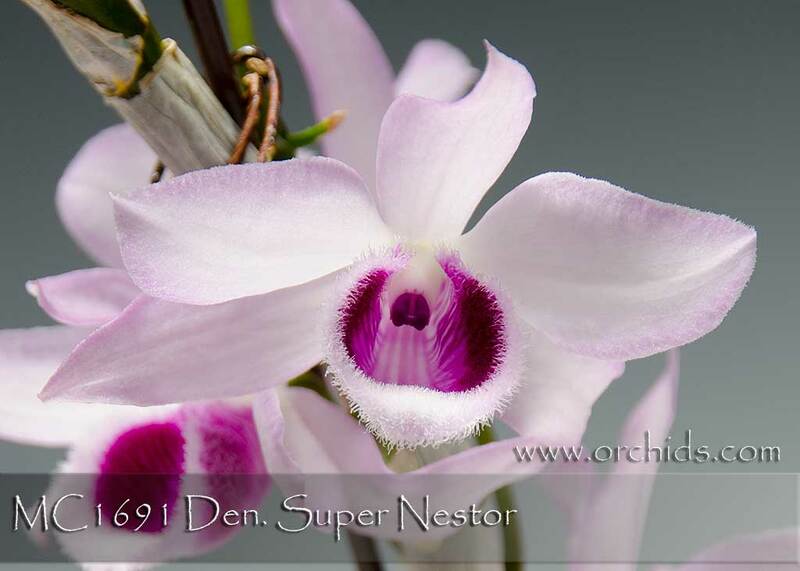 Nestor is more compact, Supernestor will bloom earlier in the season than its Nestor parent, laden with very fragrant pastel to deep pink flowers. Cold tolerant, it can be grown outdoors with temperatures as low as 45F, but as a result of the chill it will drop all its leaves. 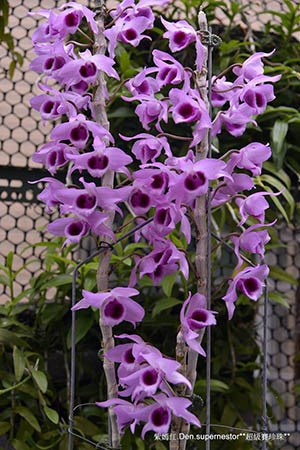 For the best spring flowering, keep it drier during late fall and winter. Highly Recommended !